The quality of blanket fabric ranks in different levels. Sochow selects the first class product, superior in the uniformity and softness of the fluff. 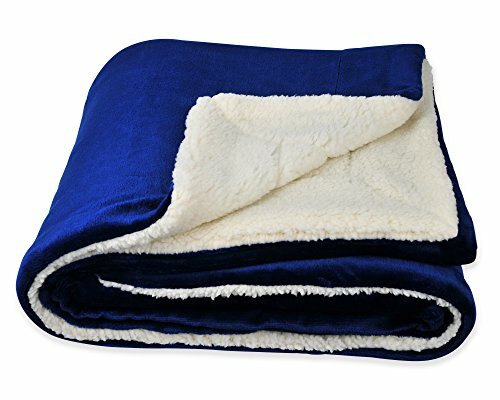 The selection of weight is of particular importance for blankets too, since heavy weight can compromise the comfort, while light weight can not keep people warm. The SOCHOW double-sided series, using selected weight which is suitable for winter and autumn, can provide warmth and lightness at the same time. The pursue of SOCHOW's design is simplicity. One side is flannel and the other is Sherpa. No complex crafts can be found in the selection of colors, the sewing of edges, sizes, packaging, etc., but we strive for perfection in every detail, to make the blanket more practical and graceful. The sizes of 50 × 60 and 60 × 80 are multifunctional. It can be adopted to the needs of each user. For example, it can be placed underneath or on the body, in the car, on the bed, be used for pets, and it is also very convenient to take outdoors and is portable for trips. In addition, the blanket is easy to clean, you can directly toss it in the washing machine. As a new brand, SOCHOW is dedicated to blanket development. In our 15 years of blanket production, we have developed the following series for you: double-sided thermal series, single-sided comfort series, fashion pattern series, children series. We are committed to providing you with more quality options. Everyone in SOCHOW loves family life and loves their own homes. We look forward to creating products that can make people happy and feel warm, so we pursue perfection in terms of the selection, design, procurement, production and packaging.